Built in the early 1900’s properties of this age are susceptible to rising dampness due to either the lack of an original damp proof course or one which has become ineffective. The method for damp proofing has evolved over the years and today for problems such as this, we use a chemical damp proof course injected into the brick work. 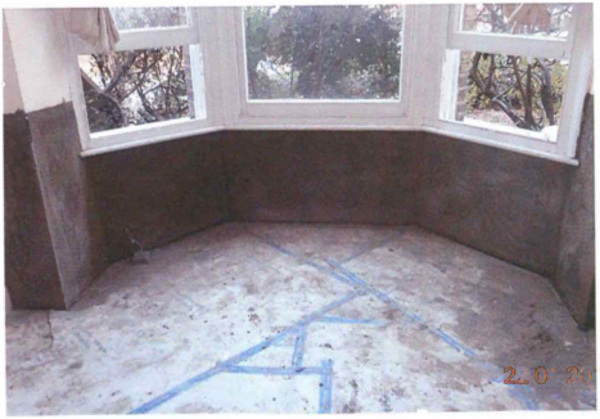 Being a lower ground floor property many walls also required use of Kenwood specially formulated tanking system to prevent moisture ingress from coming in through the walls (laterally) where the external ground level is higher. These two systems combined create a waterproof barrier against ingress of moisture and ensure that dampness is prevented.